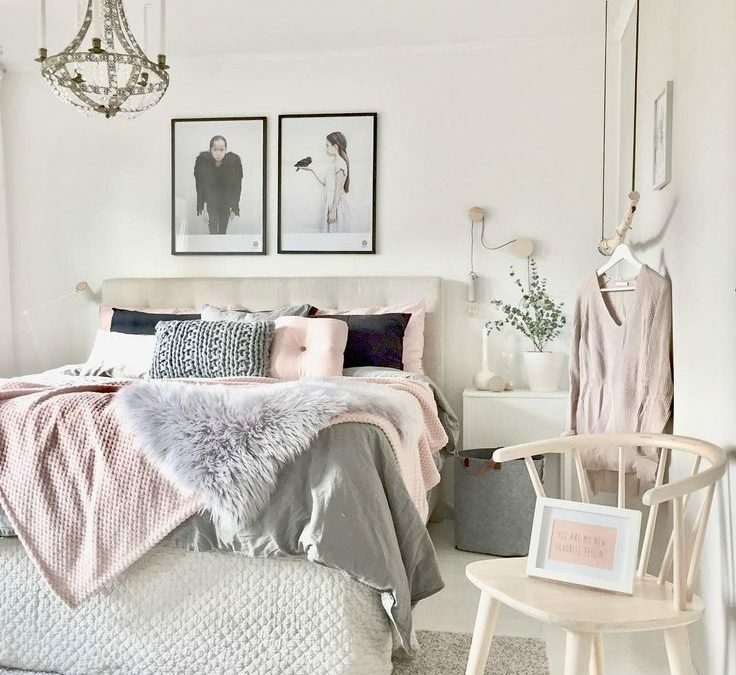 Always wanted that dreamy Instagram-bedroom look but never known how to achieve it? 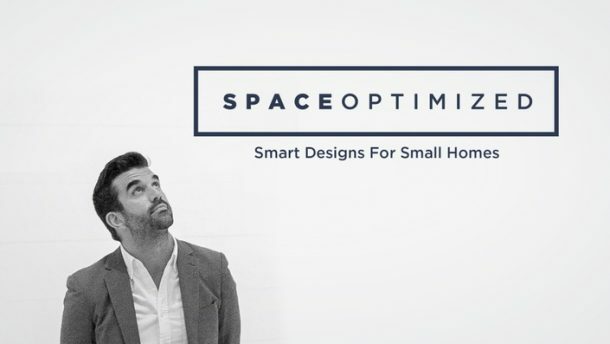 Worried about how to make this work with your small budget or even smaller apartment? We can make your aesthetic goals come true with these easy-to-implement tips that’ll have you ticking every box on Instagram! ‘Grammable bedrooms always feature a sleek and stylish bed frame. Opt for a timber bed frame to get the natural look that is oh-so-popular online and add a plush headboard if you want to inject some warmth and comfort to your room. If you’re feeling particularly creative, suspend some sheer fabric above your bed to create a pretty canopy. A canopy is an especially good idea if you live in a studio apartment, as it zones off your bed from the rest of the space. Try to create a sense of softness throughout your bedroom, both in terms of the color palette and the materials you choose to furnish with. 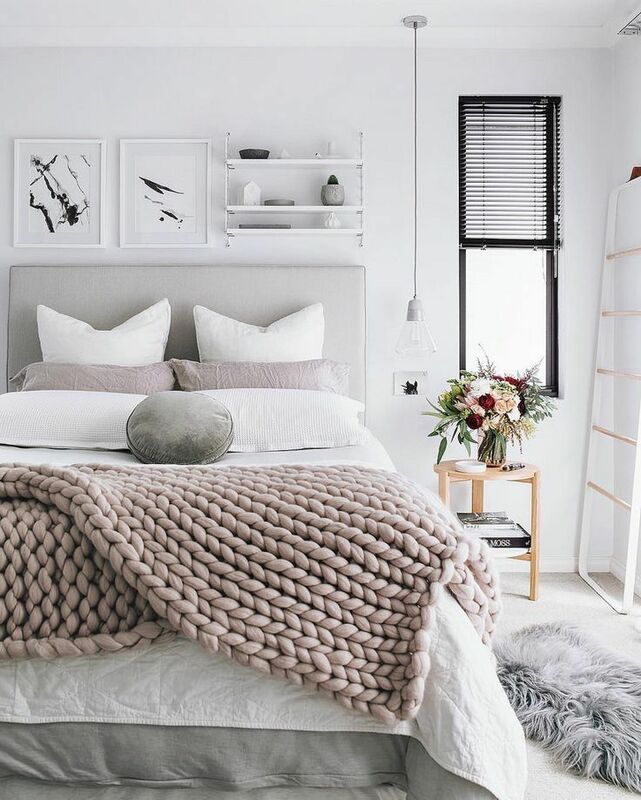 Opt for shades like dusky pink and beige to make your bedroom look like something out of a dream, and add luxurious textures in the form of knitted throws and fluffy pillows. Layering bed accessories also provide a beautifully undone look, making your bedroom feel nice and lived-in. One of the loveliest elements of any Instagram bedroom is the lighting. 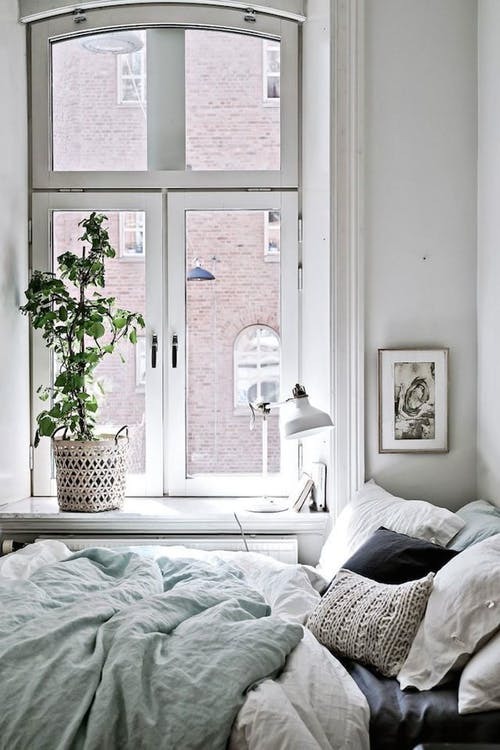 To create the same ambiance, try to maximize the natural lighting your bedroom gets during the day. Natural lighting is also the most flattering for pictures, bringing out the best in your bedroom. At night, add fairy lights and candles instead for impactful mood lighting. There are a few things more on-trend right now than indoor plants. Luscious tropical plants will instantly make your bedroom feel like a magical space, while succulents add an edgy touch. Not too much of a green thumb? Choose hardy yet impactful varieties like snake plants, peace lilies, and devil’s ivy. Adding plants to your room also has the added benefit of removing toxins from the air, allowing you to breathe better and sleep more soundly. Luxurious details you’ll see in virtually every home decor post on Instagram are gold accents. A touch of yellow gold or rose gold instantly adds timeless beauty to your space. Home decor items with gold accents are an especially good idea if the rest of your pieces are thrifted or from budget stores, as it instantly elevates the look and feel of your room. Okay, so we all know that selfies are a big deal on Instagram, but have you ever heard about shelfies? A shelfie basically means using your shelving creatively and practically instead of simply as a space to stow your paperwork. To create a killer shelfie, nicely arrange some books, flowers, lights, candles and jewelry pieces in a way that looks good to you and still allows you to easily access your favorite belongings. 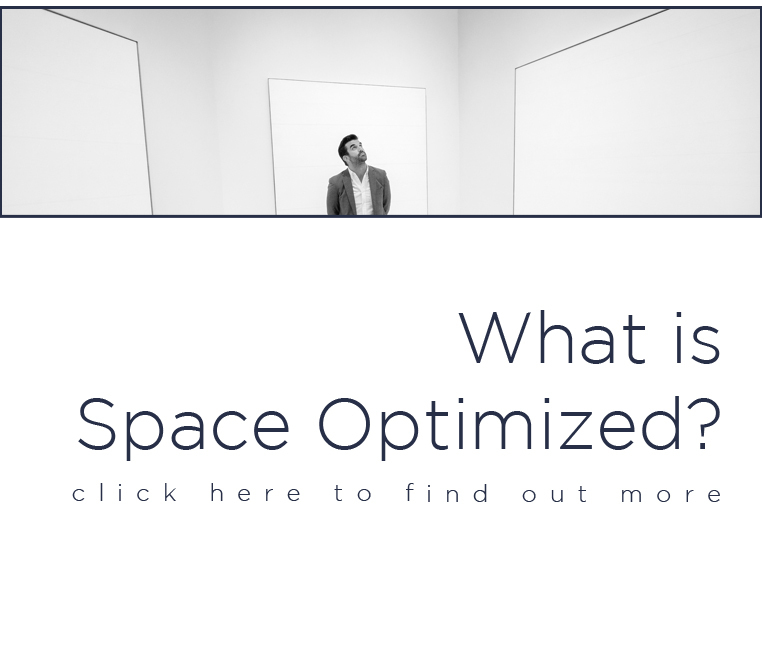 There are two polar opposite trends that you will commonly find on Instagram: minimalist and eclectic. Decide which aligns with your personal tastes more and take inspiration from this as you decorate your room. Minimalist style is all about clean and uncluttered surfaces, while eclectic home design encourages you to mix and match prints and patterns. Feeling bold? Try Googling fusion styles like Tropical Scandinavian to get the best of both worlds. If you’re not sure what design trend best suits you, simply come up with a color scheme that you love and decorate around this. Have you ever seen a messy bedroom with clutter all over the floor and an unmade bed on Instagram? We didn’t think so. Make it a daily habit to make your bed and tidy up any rubbish that has somehow made its way into your room. This means you’ll always be ready to have guests over or take some snaps without worrying about what your room looks like. By following the tips above and working your personal preferences into your bedroom design, you can make sure your room is totally picture perfect!